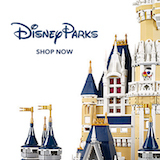 Theme Park News - DVCNews.com - The essential Disney Vacation Club resource! In the run-up to the 2019 launch of Star Wars: Galaxy's Edge, Disney has modified a variety of policies related to what guests can do and carry while visiting its theme parks. Annual Passes remain unchanged but most single and multi-day passes are now higher with a 1-day base ticket topping out at $159 per person. The highly anticipated Star Wars expansion will open at Disneyland on May 31, 2019 and Disney's Hollywood Studios on August 29, 2019. In conjunction with the launch of its date-based ticket pricing, Walt Disney World has increased parking fees and raised the price of Disney Vacation Club Annual Passes by 3-4%.